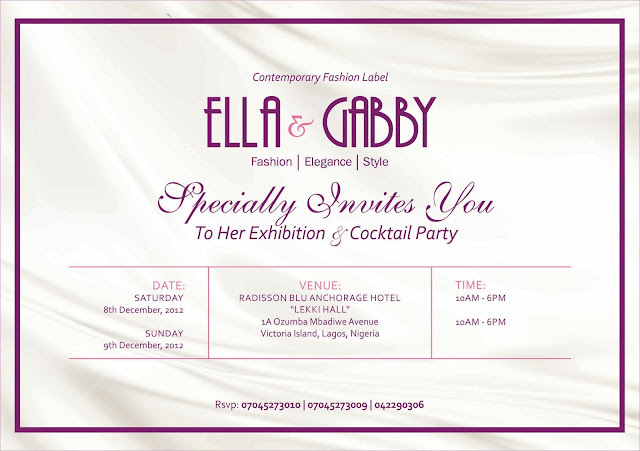 This Weekend – on the 8th and 9th of December, 2012, Contemporary Fashion Label, Ella & Gabby is inviting you to an Exhibition, Sale & Cocktail Party. It will be a time to intimately interact with the previous collection by Ella & Gabby and the most recent “Exhibition Collective”. They implore you to examine the intricacy of each Ella & Gabby piece and hopefully be blown away by the exquisite craftsmanship that goes into our work. 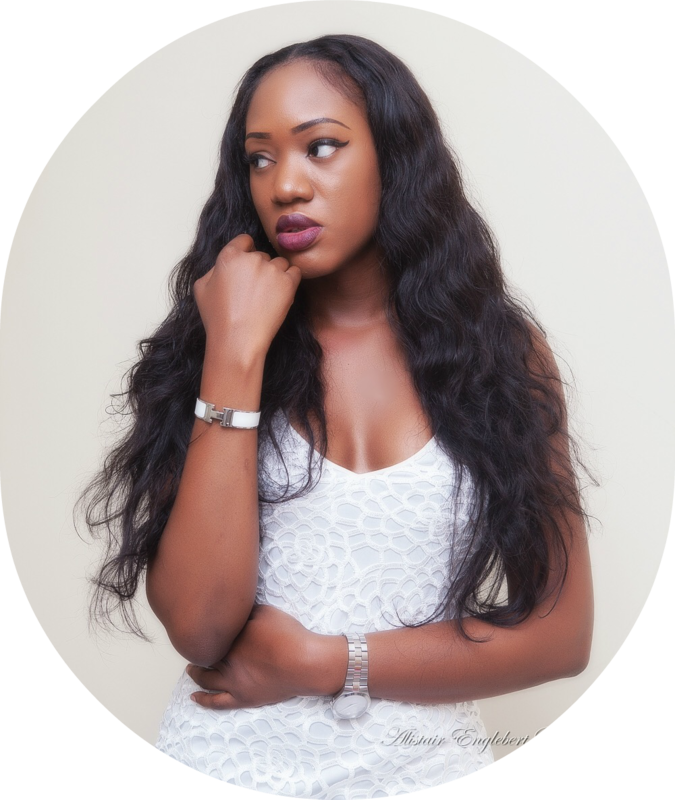 The Ella & Gabby Creative Director, Adaobi Mgbudem will walk you through the “Exhibition Collective” and her inspiration while you enjoy delightful cocktails and a selection of sweet and savoury canapés. This event has been specially designed to provide you with a unique and personal experience of our designs and the Ella & Gabby brand. 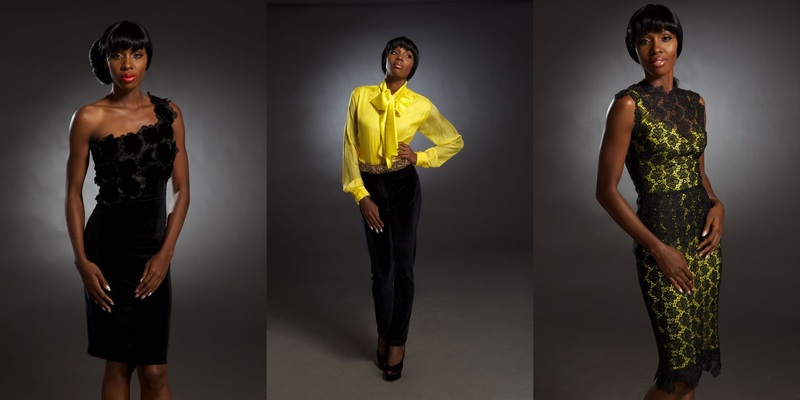 Venue: RadissonBlu Hotel – “Lekki Hall”. 1A Ozumba Mbadiwe Avenue, Victoria Island, Lagos. The Ella & Gabby team looks forward to hosting you. Everyone’s welcome, See you there!